Facebook is apparently set to release its own video chat device, Portal , next week. As reported by Cheddar , the device is Facebook's first foray into consumer tech outside of Oculus , and is similar to Amazon's recently- updated Echo Show. The outlet's source said the device will come in two screen sizes, and could cost around $400 for the larger size, while the smaller version could be priced at $300 . That's compared to $229 .99 for the Echo Show. 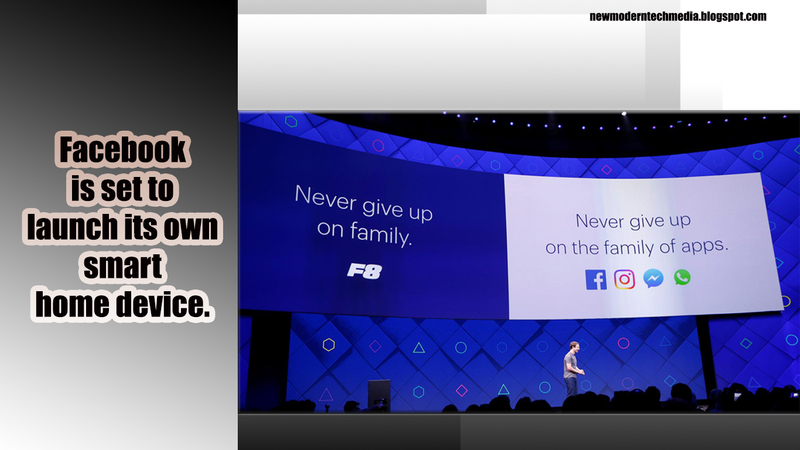 These devices were due to be unveiled at the tech company's F8 conference in May, but Facebook held off due to intense public scrutiny following the Cambridge Analytica scandal earlier this year, Bloomberg reported . Concerns over the diminishing public trust in Facebook led to the inclusion of a privacy shutter in front of Portal's wide-angle video camera. The device uses AI to recognise people in the frame and follow people as they move around the room. It'll also have Alexa voice assistant integration, and lets users play music, watch videos , get cooking recipes , and receive news briefings . Portal is reportedly the result of Facebook'sBuilding 8, a secretive R&D centre for hardware projects . The device is part of Facebook's plans to get people to video chat on its platform.But given the company's well- publicisedissues with data privacy issues and how much data it has on users , putting a connected device in their home might not sit well with many people.